Victor Montagliani doesn’t even put his suitcase away when he’s home. The president of CONCACAF was back in his British Columbia house in the middle of last week for a rare few days following another long spell on the road that is simply part of the job. The next trip, though, is much more than that. As he made his way to the Vancouver airport last Thursday he knew a five-week trip to Russia would be a business trip that would change his life and his role forever. When Montagliani was the president of the Canadian Soccer Association, he was instrumental in getting significant figures within CONCACAF to believe in a united bid for the 2026 World Cup that featured Canada, Mexico and the United States of America. Many people laughed, and that was in public so you can only imagine what people were saying privately. Canada was seen worldwide as completely insignificant when it comes to the men’s sport – both on and off the field. The country has only ever made the men’s World Cup once, back in 1986 where they lost all three games without scoring. That performance isn’t written as a negative as it represented a high point for a program that has been abysmal in World Cup qualifying for too many years. Montagliani grew up hoping one day to emulate those who were fortunate to represent Canada at a World Cup, but once that dream ended, he began a new one. Six years on from the idea being floated it now stands on the edge of reality. On Wednesday in Moscow, FIFA Congress members will decide between the United 2026 bid and one from Morocco. The winner needs 104 of the 207 votes. It’s arguably the biggest day in Canadian soccer history. Hosting a World Cup in the past has often been seen as a waste of money, with some countries using tax dollars to build stadiums for a month-long tournament that are then left unused afterwards. That wouldn’t be the case for Canada, who would get the benefits of hosting such a competition without having to go beyond their own financial measures to welcome the world. Recent World Cup history is full of tales from countries like the U.S., South Korea and Japan, where the sport reached a completely new level on and off the field after hosting the event. Currently, the 2026 bid outlines a proposal for Canada to host 10 games in three stadiums that are already built but will be modified (Commonwealth Stadium in Edmonton, Olympic Stadium in Montreal and BMO Field in Toronto) although it’s important to note that those numbers could be changed by FIFA council if the bid is successful. Numbers that have already changed are those around the format. For the first time ever, the 2026 World Cup will feature 48 teams made up of 16 groups of three, an additional knockout round (last 32) and a total of 80 matches. 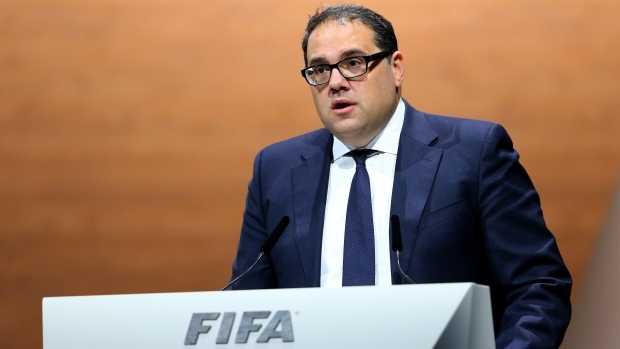 Montagliani, who is also vice-president of FIFA in his role as the leader of CONCACAF, now has an obligation to see the bid as a collective opportunity for this side of the world. “For me personally, as a football guy, it doesn’t get any better than a World Cup. As CONCACAF president this would be huge for this region, allowing us to continue the growth that we have made in the last couple of years,” he told TSN. Part of the reason for the expansion to 48 teams for a World Cup is to bring hope to nations like Canada that, one day, they could qualify no matter where the event is hosted. Montagliani has already seen many of the smaller nations across CONCACAF buoyant at the expansion, dreaming that one day they could be at the top table of international football. There is a chance eight CONCACAF teams could be at the 2026 World Cup, with six given berths automatically and another two invited to a new playoff system that could see six sides competing for the final two positions. Most would expect Canada to qualify automatically as a co-host, but that is not a prerequisite of the United bid as it a decision that has to be made by FIFA Council when it comes to planning the 2026 World Cup qualifying format. It could be 2021before a final decision is made, but knowing they either have to give it to all three hosts or none at all means it’s more than likely that Canada would be granted an automatic berth. It is clear that many believe the United bid is the strongest. An evaluation task force recently concluded that the bid scored 4.0 out of 5 with no high risks, as opposed to Morocco’s 2.7 with multiple high risks. Beckham also added that he felt a joint bid was important and he is correct. Few countries in the world have the capabilities to host 80 games and 48 countries. That’s why Wednesday is not just a very important day in Canada. Other countries are watching very closely at the precedent this announcement will set. FIFA, led by former UEFA General Secretary Gianni Infantino, who was involved in the expansion of the European Championships hosted across Europe in 2020, on Wednesday could extend another arm of unity by admitting that co-hosting is the way forward, bringing more countries together. South America, who has backed the United bid of 2026, has already announced a bid for three countries to co-host 2030. It would be 100 years since the World Cup began in Uruguay. That year, the hosts and Argentina played in the final and couldn’t even agree on what ball to use, forcing the referee to toss a coin to decide which country was allowed to use their own ball.